The Flying Penguin is a haven offering complete relaxation close to nature yet within easy reach of the city. 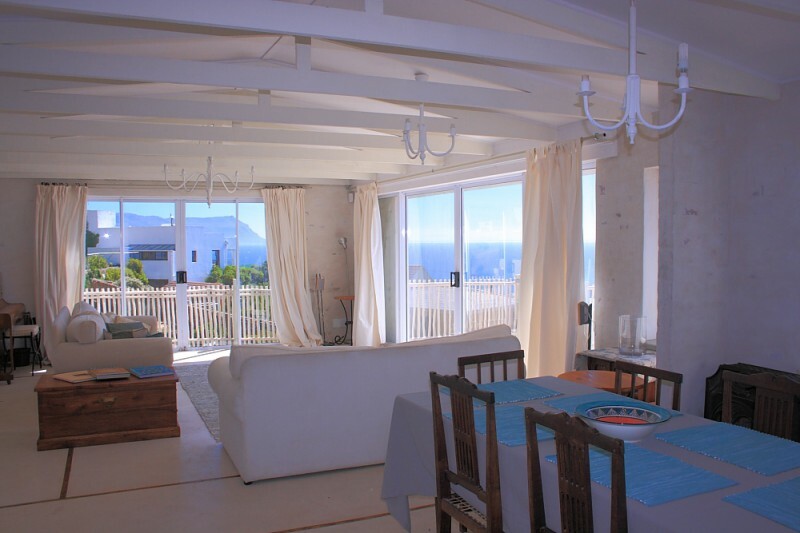 Offering a family sized penthouse as well as cozy suites for two, this farmhouse styled holiday accommodation is located in Simon's Town. It is a peaceful getaway, offering visitors a complete escape whilst enjoying the breathtaking position and stunning views. It is only a short walk from one of the best swimming beaches that the Cape Peninsula has to offer. With its many features, The Flying Penguin can accommodate all guests in luxury. Each bedroom has an en-suite bathroom and shower, with the penthouse offering a victorian slipper bath as well. The accommodation offers flat screen television in all suites and a modern music system in the penthouse, as well as Wi-Fi internet access throughout - all features contributing to the contemporary comfort and convenience that The Flying Penguin B&B offers its visitors, all year round. The Penthouse - sleeps 4 and rented as a unit in its entirety. 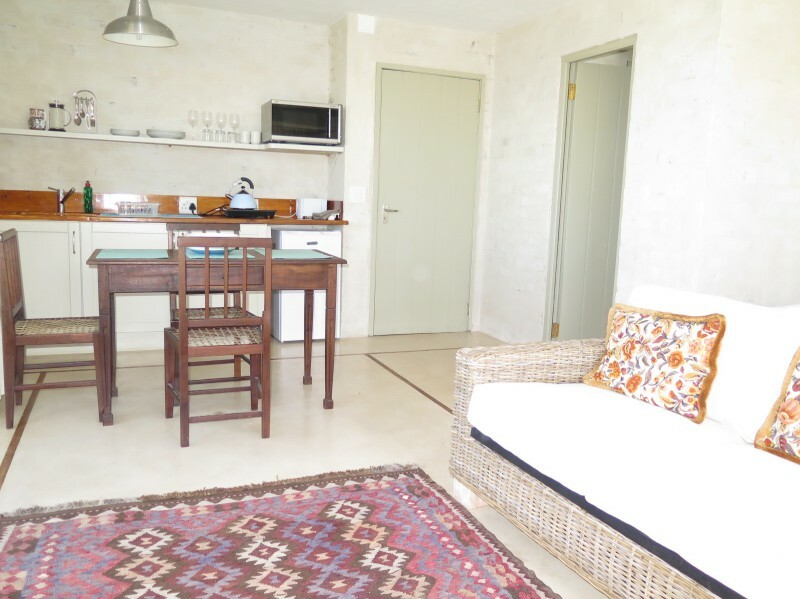 B&B / Self Catering Suites - rented on a per person basis. Each suite sleeps 2 and can accommodate an extra young child on a pull out mattress. 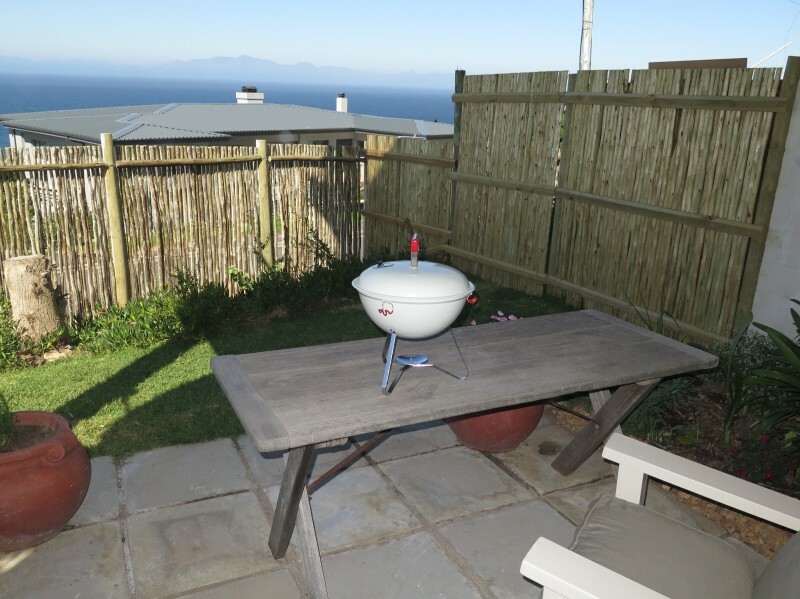 The Flying Penguin is set against a hill with stunning views of the bay below with an uninterrupted vista from Hangklip to Clovelly. Our good size balcony and patios allows for sundowners in comfort. 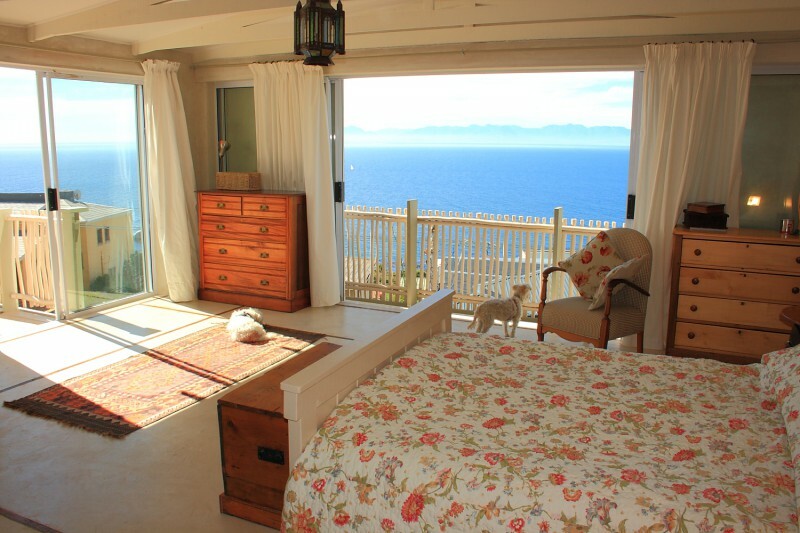 It is perfect for a romantic break, a family holiday or to get away to the wonders of the south peninsula. We are just 5 minutes away from the centre of Simon's Town with all of its charming boutique stores, and only moment from the No 1 beach in the world: Boulder's Beach. 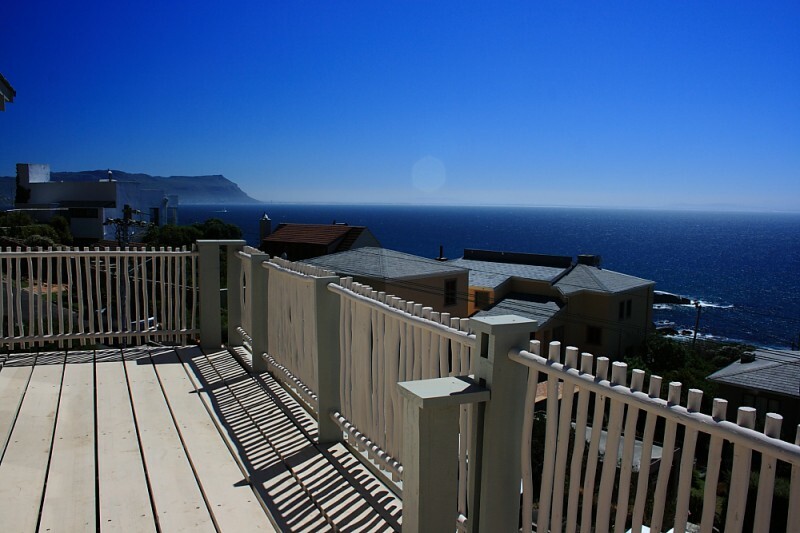 The house is situated approximately six minutes stroll to Fisherman's Beach below us. Fisherman's beach with its warm water and gentle waves is extremely popular with families and children. Walk to Fisherman's beach and play in the waves, relax on the sand or on the granite boulders, or catch a glimpse of the penguins that sometimes wander further afield from Boulders. We've even swum with otters at the beach. Simon's Town and False Bay are blessed with warm water as opposed to the Atlantic seaboard, making for blissful swimming and playing in the waves. Simon's Town is a maritime naval town and home to the African Penguin colony at Boulders Beach. Steeped in history and tradition, Simon's Town has many adventures and activities on offer from Boat Trips to Kayaking, scuba diving, beaches, museums, golfing, fishing, tennis, hiking and more. We are under 10 minutes drive to Cape Point Nature Reserve. Cape Point falls within the southern section of Table Mountain National Park. The natural vegetation of the area, fynbos, comprises the smallest but richest of the world’s six floral kingdoms. CAPE TOWN DAY ZERO (April 2018) READINESS: We have invested in a desalination system and have the ability to desalinate 1500 litres into fresh water per day. The desalinator is the kind used by large yachts on ocean crossings and produces a purer quality water than tap water. Water security is assured at The Flying Penguin. The salt water used by the desalinator is pumped from False Bay near Simon's Town daily.